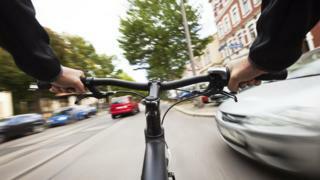 Thousands of cyclists are injured, many of them seriously, each year in UK road accidents. Radio 1 Newsbeat’s Dan Whitworth describes getting back on his bike after a crash – with the help of the driver who hit him. It was 06:20, about 300m from my home in suburban south-east London. The spring morning was dry, bright, and clear. Even though the sun was already up, I had on my usual outfit of helmet, high-vis jacket, high-vis bag cover as well as front and back lights. As I cycled up a slight hill on a main road with very little traffic, everything was fine. Until a car slowed, but didn’t stop, at a give-way junction. In fact, it didn’t stop until it pulled out into the main road and hit me. Then everything wasn’t fine. My back wheel caught the worst of it – and before I could blink I was off my bike, flying through the air and then hitting the tarmac several metres away. I was on my back in the middle of the road, struggling to take in what had happened. I guess it must have hurt – but with first adrenalin and then shock kicking in, I can only say that I don’t remember feeling that much pain. And, physically, I’m fine. A few bumps and bruises, a sore neck but a quick trip to A&E, in and out within an hour – I got away lightly. But the crucial word there is physically. Physically I’m fine. Mentally I’m not so sure. I’ve been cycling for three-and-a-half years, one of tens of thousands spurred on by the golden Olympic summer of 2012 and the heroic efforts of Bradley Wiggins et al. 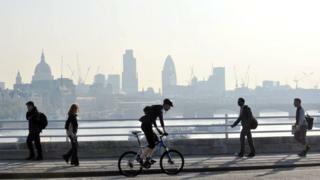 Commuting on my bike was perfect – cheaper than the train, it built exercise into my commute. And, clocking up hundreds of miles each month, I was the fittest I’ve been in years. Since the accident I’ve cycled into work once. And it wasn’t very enjoyable. I’d lost all confidence and my awareness went into absolute overdrive. I expected virtually every other road user to do the unexpected. By the time I arrived at work I was mentally exhausted. I always believed there were two golden rules for cycling. Cycle with confidence and cycle with awareness. And I realised the lack of confidence was making me unsafe. 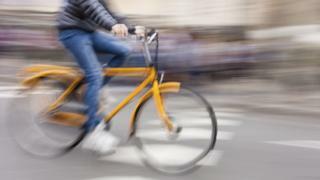 David Dansky of Cycle Training UK, who teaches cyclists how to regain confidence after crashes, says being overly cautious on a bike can put you in greater danger. After an accident, he says, very often cyclists feel intimidated riding in front of another vehicle, and so stick to the left-hand side of the road. 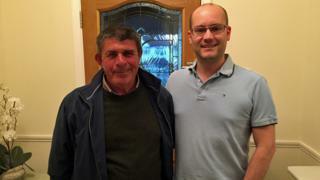 After the accident, the motorist who knocked me off my bike, Dennis, stopped straight away and got out of his car. Anxious to help, he got me and my bike off the road and on to the pavement before waiting around and giving me his details. I think he was almost in as much shock as me. He was nervous about seeing me. Later, he told me he didn’t know whether I would speak to him or come at him with a bat. Dennis couldn’t have been nicer about the entire incident. We agreed he’d pay for repairs to my bike (140), which he did, and leave it at that. No police, no insurance, no need really. But the accident had left him shaken too, as he explained over a pint a couple of weeks later. So I asked his advice about getting back on my bike. He told me: “It is a hard one Dan, a hard one. I don’t want you to get back on your bike because I’d worry about you. Three weeks on, though, I’m still not back on my bike. But I am working up to it. I definitely think building up my confidence bit by bit is key to getting back on my bike safely so I won’t be throwing myself back into commuting on two wheels. Confidence is something that takes time to regain, says Dansky. “You go back to basics and build up skills from scratch, riding in a park,” he says. With a one-year-old daughter and another child on the way, having a minor accident has certainly made me much more aware of my own mortality. 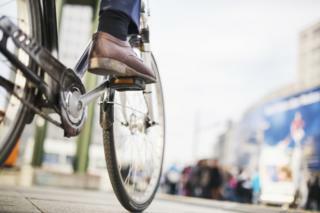 What are the key tips for cyclists who have never braved rush-hour urban traffic?